Join Rev G Timney on this Pilgrimage to the Holy Land, this will be a wonderful Pilgrimage experience staying in 4* Hotels. Return flights Manchester or Luton  Tel Aviv. £1215 per person in a single room. Depart Manchester or Luton airport for the flight to the Holy Land, on arrival at Ben Gurion Airport, meet with our professional tour guide, who will be with us during our visit. We transfer to Bethlehem to our hotel, dinner will be provided on arrival. After breakfast, we start the day at the Nativity Church, the birthplace of Jesus Christ, we celebrate Mass here. Visit the Grotto of St. Jerome and Milk Grotto. Continue on to Beit Sahour to visit the Shepherd's Field. 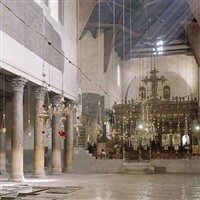 In the afternoon, head to Ein Karem, the birthplace of St. John the Baptist to visit the church that commemorates his memory. Then walk up the hill to reach the Visitation Church. Return to the hotel for dinner and overnight stay. 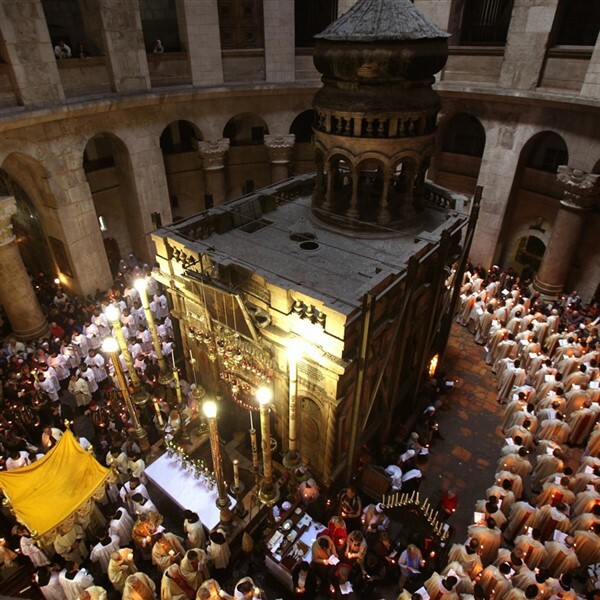 After breakfast travel to the Mount of Olives in Jerusalem, visit the Ascension Dome, Pater Noster Grotto, walk to Dominus Flevit (where Jesus wept over Jerusalem), Mass here and afterwards proceed to Gethsemane Garden and the Basilica of All Nations. We then drive to Jericho, view Mt of Temptation and Zacchaeus's Sycamore Tree followed by lunch in Qumran. We then go to the Dead Sea for the floating experience, return to the hotel for dinner. 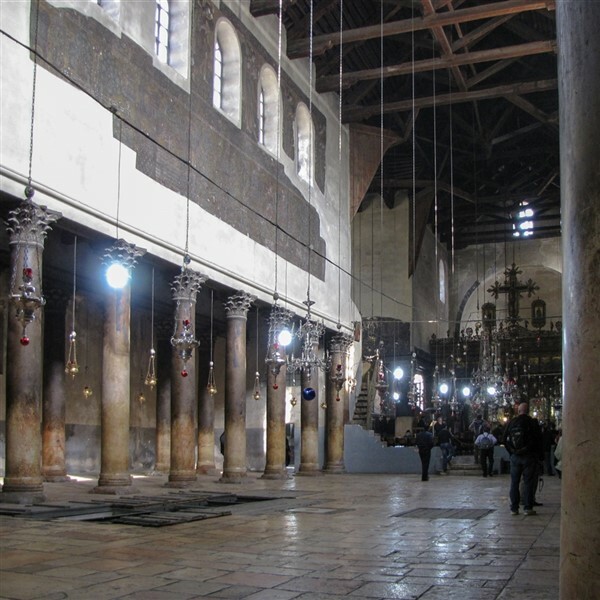 We visit the Carmel of Bethlehem, a short walk (where King David lived as a boy). View here the magnificent chapel of St Joseph (designed by Christ and shown in a vision to the Founded by St. Mary of Jesus Crucified), Mass will be celebrated here, rest of the day free in Bethlehem. Dinner at the hotel. 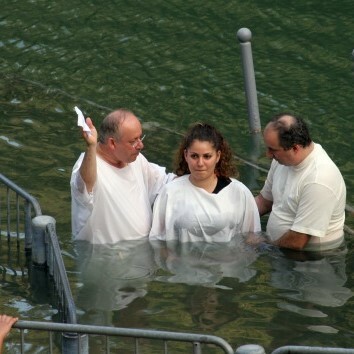 Depart the Hotel after breakfast for Galilee, on route we will stop at the River Jordan where you can renew your Baptismal Vows. Drive to Cana visiting the Church of the Wedding, where Jesus performed his first miracle, renewal of Marriage vows here. We then make our way to Mount Tabor and take taxis up to the summit where we visit the church of Transfiguration, continue the journey to Tiberias where we check-in to the Hotel for dinner and 2 nights stay. A leisurely breakfast before we commence our journey back to Tel Aviv to join the flight back to Manchester. We will make a visit to the Stella Marius Church along the way where we will celebrate Mass before getting to the airport.